By Barbara Lont, YWCA of Suriname. I feel very blessed and privileged to have been at this the Latin America and Caribbean (LAC) Beijing+20 review meeting. It has been a new experience for me on such a high level. I have sharpened my network skills and learned more about advocacy. To start from the beginning, it was quite exciting travelling from Paramaribo to Chile. It was an 18 hours flight with stops at Trinidad & Tobago, Curacao and Bogota. When I was going in the plane to Santiago I met Yuleida Alvarez from Colombia. was picked up by a friendly taxi driver and within half an hour at Hotel Atton Vitacura. For me the weather was a little cold. The hotel receptionist was very friendly and checked I could check in on 11 o’ clock. Our first meeting was with Icilda, a very good mentor. She prepared us for what to expect from the meetings and to be aware of protocol. At the NGO CSW that was held in the Ambassador house of Argentina I met the delegate of Suriname and also other women from different countries. The time to discuss the Caribbean issues was much to short but we could make a list of the most important issue. This list was well presented by a Jamaican young woman named Rachel Ustanny. The first day was the meeting of the Presiding Officers of the Regional Conference on Women Latin America and the Caribbean. Several countries have presented their progress on VAW and SRHR and HIV and other issues on the status of women. The second day was the continuation and two NGOs were given the opportunity to advocate their issue. Other NGO’s would get the opportunity the next day. The third day was to finalise a LAC Statement for the special session on Beijing+20 in March 2015 in New York. The NGO’s didn’t get the opportunity to speak. Although the YWCA delegation had prepared a statement. At these meetings I learnt all about politics and the various issues in each country. I networked with women from, Trinidad, Jamaica and Guyana. I talked about the World YWCA and our vision to engage young women in this whole process. I also gave an interview to the NGO CSW LAC about my experience of the meetings. Through those meetings my interest on the subject on women and economy has grown and I would like to go deeper into this subject. I also met eight great women and young women. It was an awesome and learning experience. Thank you World YWCA for this opportunity. 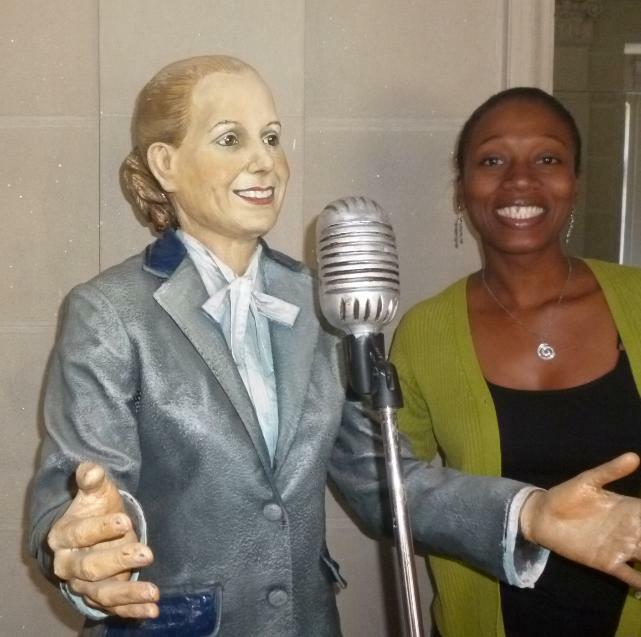 it’s Sophia Pierre-Antoine from YWCA – Haiti. It was such a pleasure to read your blog post and an even greater pleasure to share this life-changing experience with you! I hope we will get the chance to work together again. In Peace, Love, and Solidarity.